The University of Michigan will reconsider its relationship with a London-based company that published a book denouncing Zionism, but it will not extend a temporary halt of the book's distribution, the university's executive board announced yesterday. Written by a professor of social studies at Bard College, Joel Kovel, "Overcoming Zionism" advocates abolishing the state of Israel and replacing it with a single secular state with no ties to the Jewish people, Mr. Kovel said yesterday. Mr. Kovel, 71, a medical doctor and Yale University graduate who lives in Woodstock, ran for a U.S. Senate seat in 1998 as the Green Party candidate and sought the party's presidential nomination in 2000. "Overcoming Zionism" was published by Pluto Press and distributed in America by the University of Michigan Press under a contract with Pluto. But after a group devoted to defending Israel, StandWithUs, denounced the book as a "collection of anti- Israel propaganda, misquotes, and discredited news stories," the university press halted its distribution. We welcome all discussion and scholarly work that underscores the difference between Judaism and Zionism, as well as advocates an end to the Zionist state. At the same time, as Orthodox Jews who keep the laws of the Torah, we wish to emphasize that the Torah forbids Jews to be politically active in the Holy Land during exile, even in the context of a democratic state not officially connected with the Jewish people, as long as the majority of the state's population is Jewish. Such a state, whatever its official name, would for all intents and purposes be a Jewish state and would represent a deviation from the norm of exile commanded by the Torah. It must also be stressed that our organization cannot advocate any particular "solution" such as the democratic binational state proposed by Kovel, because it is Palestinians who have the right to determine what structure their new state will have; it is not for us to impose any structure on them. In the event that a democratic Palestinian state is founded with a Jewish minority, Torah-true Jews would participate in the elections just as they do in all countries in which they live. 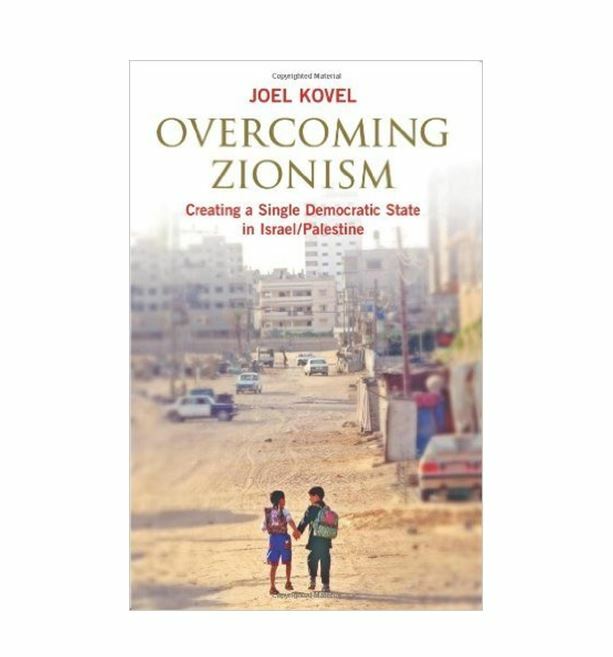 Joel Kovel's book is praiseworthy in that it proposes an end to Zionism. However, we disapprove of its treatment of Judaism. In Kovel's eyes, Judaism is a "tribalist" religion and much of what he sees wrong in Zionism has its roots in Judaism. We wish that he had been better educated in the faith of his ancestors so that he would understand and communicate to his readers how false that is. Judaism and Zionism are utterly different in that Judaism is G-d-centered and Jews are a peaceful people who take no action unless specifically commanded to do so by G-d. Zionism is man-centered and advocates taking matters of life and death into our own hands.